Frenkel Topping Group plc Shows further progress against the Company's strategy. David Mulholland an Investment Consultant at Frenkel Topping Group plc (LON: FEN) discusses Chinese Market Turbulence and offers some advise for investors. 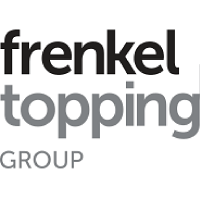 Frenkel Topping Group plc is a unique Asset Manager, providing specialist Wealth Management and Expert Witness Solutions for vulnerable individuals and those in later life, across the UK. With unrivalled experience of over 30 years in the industry we are in the best possible position to help and advise vulnerable clients through wealth management to achieve their personal financial and wellbeing goals. Our integrity and focus on our clients is second to none in the financial services industry – we always act in their best interest. We are also committed to investing in our own skills to offer unrivalled knowledge and expert witness support for professionals. In 2015 it launched the Frenkel Topping Charitable Foundation to support projects and initiatives for vulnerable individuals.